Note- This is also applicable to all kinds of business negotiations including sales negotiation. #Law 1- Prior to beginning any negotiation, ask yourself, “Am I or Are We the buyer’s top choice? Never start your negotiations until you’re sure that you’re the buyer's top and foremost choice. This is the golden rule to remember, why? It’s because you cannot simply drive your way to the number one preference merely by quoting lower price. Also you should not! If you do then it will become a race towards the bottom. This is because there will always be several competitors who will be willing to offer at lower price tags. However, if you also take the same road it will put a dent in your profitability and margins. Hence, you will end up in a win-lose situation where you’ll be the loser! · If you are not their 1st preference, the buyer is only using you to achieve a lowered price compared to the cost of their top preference– your competitor. · If you’re the top preference– you enjoy the right to quote a price premium. How to position yourself as the buyer’s top preference? People don’t buy price, they buy risk! Hence, don’t focus on cutting your price but focus on the other party’s risk factors, both business as well as personal. Embark on methods on how you can reduce them and give the party a comprehensive solution. Will it negatively affect our profits? Will it hamper our relationship with shareholders and employees? Will we lose out on valuable customers to the competition? Will it make us uncompetitive in the market? Will this put a dent in my 10-year stint at the company? Will it affect my appraisal or bonus? Understand what the client actually wants? As per my experience, there are few buyers who worry about marginal differences in costs which exist between you and competition. However, if they are assured of the best solution from you, you’ve just cracked the sales negotiation or any other business negotiation pretty well! Note- The best solution garners protection from the several risks of the negotiating party which we just discussed. Remember- No one would want to risk their personal careers, business profile and bonus to take care of families just to save a few company dollars! #Concluding note- Focus on re-affirming the negotiating party of securing their risk factors. This will place you in a better position than competitors and you can then command a price premium! In the next article, I will be revealing The 2nd Immutable Rule of Sales Negotiation to Remember. Till then stay tuned and have a look at other useful business and management related articles to get insights to enhance your business related skills and management efficiency. The 3 Sales Prospecting Errors One Must Stop Committing Today! As per my experience, many reps ignore this important aspect of the right sales prospecting approach. As a result, they fail to understand who is a good lead, what should they talk and when should the prospects be contacted. Further you’ll learn to overcome the 3 most flagrant sales prospecting errors which are also easily fixable. Many sales reps attempt to find the decision maker at the respective company through their job titles. Once acquired all the contact information, assuming the person to be the contract signer, the reps communicate with him/her through call or email. However, what do you do when there’s no revert? You’ve already pitched your brand to a potential valuable client but now you have nowhere to go! Therefore, I suggest sales reps to avoid searching the decision maker while at 1st attempt of sales prospecting. Instead, reach out to other horde of influential people in the company. Ask for referrals towards the person you ultimately want to meet. This strategy is likely to be successful as there are greater chances the decision maker will consider your pitch! “Hey, you need a tire it seems” says the driver. You see that? It points out a very important difference in selling remedies for certain pain points (tires) Vs. providing a well-thought and comprehensive solution! (Ride to the daughter’s wedding). Hence, sales reps should not concentrate on short-and-quick fixes. However, you must listen to the buyer’s concerns carefully and then provide a comprehensive solution! Following up is a vital aspect of sales prospecting. Many sales reps claim of being persistent without pestering. However, many do not end up being either. A sales rep ‘A’ has got 5 touches to spread across a month. He chooses the too-early-too-many-times approach and blasts the prospect at several times trying to get attention within short time. He spends his first 2 touch points on the very first day followed by sending 1 message each of the following three weeks. Sales rep ‘B’ spends only 1 touch on the first day followed by the 2nd after two couple weeks. He then spends the 3rd one during the month’s last week. The remaining 2 is spent on the last 2 days of the month. In this way, you should patiently wait for first few weeks and gradually ramp up, not other way around! Get introduced to 21st century workplace! Co-working hubs boasting fun and luxury amenities like cafeteria, fun zones & meeting rooms, even crèche for women entrepreneurs to carry their child with them are becoming the most preferred workstation of tomorrow! They are a great option for businesses and start-ups who want well-equipped places at lesser costs compared to rents and purchase of a place. Versatile- Get all your needs nurtured under one roof! There’s one major striking aspect of these co-working hubs which makes them a perfect workstation! Apart from offering a favorable working environment, it helps startups & businesses greatly to build valuable networks! You get everything from technical help, valuable mentoring sessions, getting investors to meeting new customers & even hiring an essential talent pool all under one roof! Hear from some of the executives turned successful start-ups with the help of co-working hubs! Ritu Ghuwalewala is the owner of big-data analysis firm MavenMagnet started in 2009. She, at the age 28, learnt to fire a worker. He was highly qualified & was the only local team member in Mumbai in 2012. And for Ritu, it was a tough moment as it was a growing phase. "If there had been a concrete office resembling our only company, I would not have been able to do it," says Ritu. Her brother & cofounder worked from United States. “Luckily, I wasn’t operating from our own office. I had peers around me at Bombay Connect (coworking hub in the upscale Bandra in Mumbai) where large group of skilled entrepreneurs advised me on how to fire an employee who’s not shaping up,” said Rita. Huddled round a table on the 1st floor of Social Connect in Bangalore are Anjali Batra & Shuchir Suri, the young founders of Food Talk India. They work hard on their phones & notebooks. However, the ambience boasting soft lighting and couches along with EDM music and bar counter only suggests that the duo were living it up all-away from the office! Searching for lucrative business opportunities? Get in here! Satish Khanna who’s a former pharmaceutical honcho turned successful entrepreneur says: "Networking is key for a successful business." He works out of Regus which is a multinational co-working hub boasting 5-star feel. "Every Monday I remove time to meet corporate and executives of 2 companies which work from here. This helps me greatly to make new contacts & further new connections which lead to newer and lucrative business opportunities." There are more things you’ll love about co-working hubs. The work tables there gets easily converted into the lunch tables & you can quickly revert back. For instance, at 91Springboard in Delhi, the reception area can become a lounge with carom board and so on. This reflects good utilization of space. They’re flexible, nimble and modern which have made startups & businesses go gaga over these evolving workspaces of future! Know More about Indian Academy of Management’s (IAM) practical and highly informative business seminars and corporate events to take your business and career to a new high! Corporate Trend Alert- Picturing 21st Century Workplace! Centuries ago, hunter gatherers possessed farms. 20th century manufacturing era reflected the start of factories. And then the services era brought a wave of snazzy corporate offices boasting glass and chrome. Do you have any clues on how the tomorrow’s workplace will look like? It’s here! Driven by lively startups & scrappy entrepreneurs to passionate freelancers & consultants, it’s going to be the era of virtual world leveraging the power of networking. The DEN of the future entrepreneurs! In the past week, I spent time with startups in their lovely den only to find clues of 21st century workplace! They’re none other than what are known as co-working hubs. Increasing number of startup businesses are showing interest in setting up offices in various co-working hubs. What is a co-working hub? 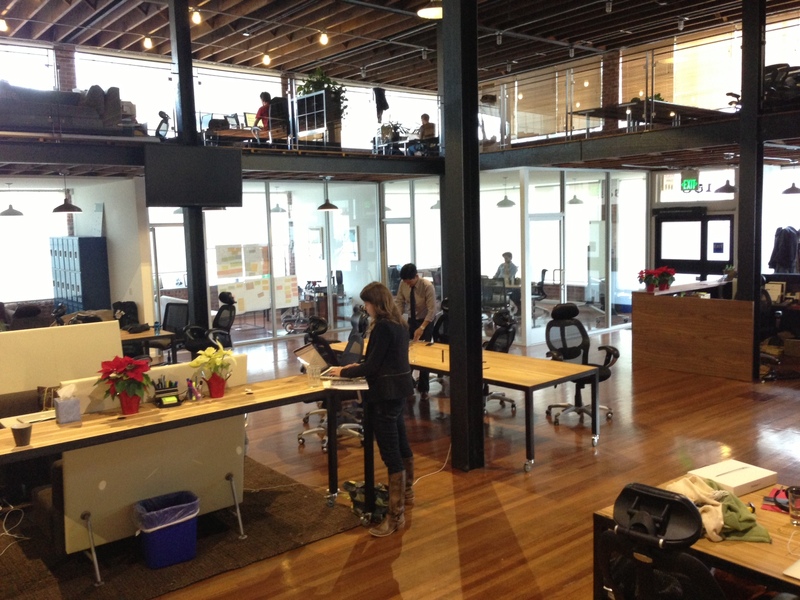 Co-working hubs are shared office spaces. You can book space on a per seat basis which is much cheaper than the enormous rents or buying a place and even getting a plush ambience! Start-ups are undoubtedly becoming a hot favorite so much so that young, old & experienced executives are trading their comfy jobs for a rough ride building businesses with these startups. No wonder, co-working hubs are the best place to spot such start-ups. You’ll find them mushrooming all over. Examples include, 91Springboard, Stirringminds & Social Offline In Delhi. There’s also Bombay Connect and The Playce in Mumbai. All have of expanding to multiple cities & fast. Bangalore also known as India’s Silicon Valley is the startup hub which seems far ahead with such exciting facilities. What’s special about these co-working hubs which have made them so popular? 1) They offer great flexibility while startups scale up or scale down. Here, one needs to book space on a per seat basis which helps to cut significant costs related to buying or renting a place & it’s very easy! 2) Co-working hub reflects a plug-and-play model. It cuts down all administrative hassles which distracts several startups and tends to eat into their precious energy and time. 3) Talent hiring & retention is a big issue today where young entrepreneurs prefer a hot-and-happening work place. And for bootstrapped businesses it’s a hard one if gone by renting or buying a place! In such scenarios, co-working hubs act like a boon offering great place to work! 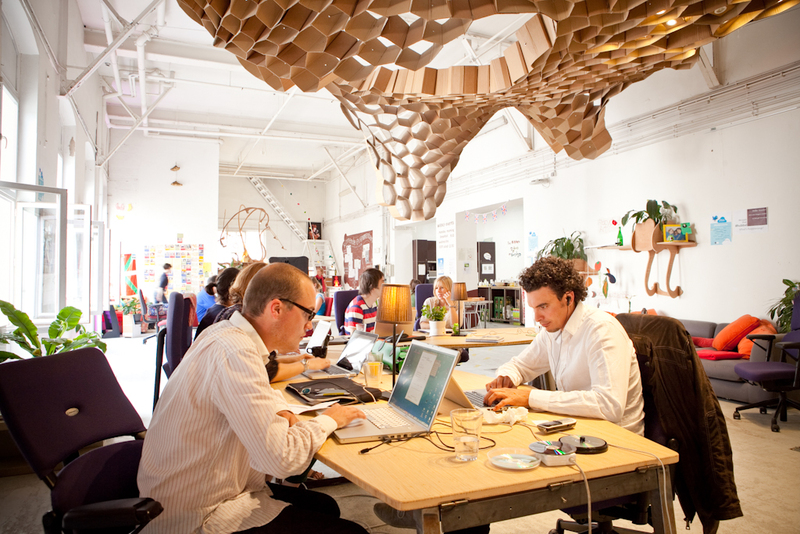 Read more on, Co working hubs- The PreferredWorkstation Of Future Business Entrepreneurs!